One of our YouTube favorites Wilson Cleveland, has been nominated for best actor in a drama for his performance in the season 5 premier episode of BlackBoxTV Presents, “How to Quit YouTube.” BlackBoxTV is a sci-fi, horror, thriller anthology series. In his episode, Wilson basically plays himself camping in the middle of nowhere in his attempt to escape life and YouTube for a bit, and of course everything goes wrong. It’s a great mix of creepy and funny–but then I have loved everything I’ve seen Wilson do. Fingers crossed he wins a Streamy! You can check out “How to Quit YouTube” for yourself here: youtu.be/5VZY64VgHSo Wilson is also one of the actors in my favorite web series Leap Year, as well as a driving creative force behind the series. Check out the list of nominees and info on watching the Streamys here at KRL: kingsriverlife.com/streamy-award-nominees and now enjoy our reposting of these reviews. If you still haven’t discovered web series and vlogs now is the time! There’s some great entertainment out there with something for everyone. You can find even more of our reviews in our web series & vlog reviews section. Ian discovers that the man in the photograph, Daniel Easton, is a target assigned to him for elimination, and while he has no idea who sent the box, they up the ante when they take his daughter, Ellie. After he meets another box recipient, Paul, he learns of The Watchers, a group who gives “chosen” people a box with a gun and a target, and how far the game extends. The Watchers can see everything through surveillance systems and hidden cameras, and their connections with law enforcement make it impossible to get out of the game. With his daughter’s life in danger, his wife, Laura, is also drawn into the game. In season 2 the Mitchells go on the run, and meanwhile, former tech student Jacob Orr struggles to make ends meet to support himself and his handicapped brother, King, as a bartender, but the delivery of a box and orders to kill someone changes everything. His target turns out to be another veteran Hunter who, incidentally, has been tasked with killing Jacob. While it isn’t prominent in mainstream television, Crackle stepped up to the plate with this one and brought in some big talent. 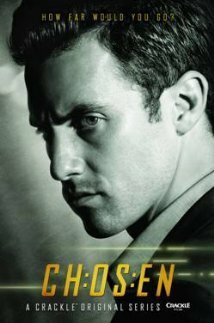 Milo Ventimiglia (Heroes) is Ian Mitchell, and his knack for drama definitely pays off as his character goes from middle class defense attorney to cold-blooded killer. Australian soap star Nicky Whelan (Neighbours) plays Laura Mitchell, and her reactions to everything that happens once the game starts show that she brings the element of being willing to do whatever it takes to save her family. Child star Caitlin Carmichael (Shake It Up, iCarly) is Ellie, and if you’re anything like me, you’ll be on tenterhooks until you find out what happens to her. Adding to the talent in the second season is Chad Michael Murray (One Tree Hill), and he brings something to the story that drives his multitude of emotions as the story plays out into the hearts of viewers. Brandon Routh (Superman Returns, Scott Pilgrim vs. The World) plays Max Gregory, a Watcher-to-be and a perfect chameleon when he’s introduced. Sarah Roemer (Fired Up!, Disturbia) is Dr. Avery Sharp, an unfortunate pawn in the game. Overall, Chosen is the kind of series that hooks you from episode one and keeps you going, even into the third season. Its mix of intense drama and the human element that allows us to connect to the unfortunate players in the game gives it a ton of potential, and season three boasts even more big names (did somebody say Rose McGowan? ), which means that it’ll have us hooked until season four premieres later this year. If you’re looking for something to watch while the fall season gears up to start in a few months, this series is a great way to binge until then! 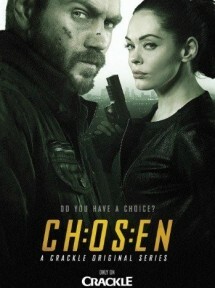 Catch all 3 seasons of Chosen on Crackle.com. Editor’s Note: Milo Ventimiglia is also an executive producer. In the year 3085, a group of heroes, the Courageous Battlers, goes missing in an alternate dimension (or “zone”), leaving their kids behind. Together, Beth, Chris, Danny, and Wallow, form the Bravest Warriors, a junior version of their parents’ band. While the Warriors jump between dimensions to find their parents in the See-Through Zone, they’re accompanied by a few…creatures, like Impossibear and Catbug, and of course, what cartoon would be complete without a horse paralyzed because he discovered the meaning of forever? This one definitely wouldn’t. Although Ward got some well-known names for the pilot, like Tara Strong, a relatively unknown cast carries the show and carries it well. Alex Walsh voices Chris, the leader with a perpetual crush on his friend Beth, played by Liliana Mumy (Mertle from Lilo & Stitch). John Omohundro is Danny, and Ian Jones-Quartey (animator for The Venture Bros.) plays Wallow. In an interesting casting decision, they cast four-year-old Sam Lavagnino as Catbug, a creature that’s half-cat, half-ladybug, who’s actually a big draw for the series simply for the random comments he makes and the sound of his voice. The animation, while very similar to Adventure Time’s, offers some neat effects and gives the familiar feeling of Saturday Morning Cartoons while offering something new every episode, and since each one is around 5 minutes long, it won’t take long to get through the first season. 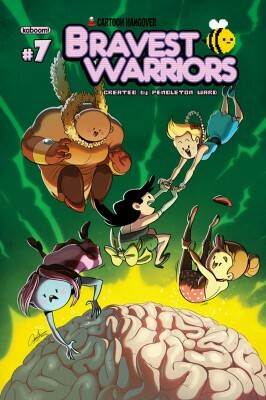 Overall, if you like Adventure Time, or are just looking for something you can cram a few episodes in of on a break at work, the Bravest Warriors is definitely worth a look, if not for the simple mindless humor of it all. The Bravest Warriors can be found in their own channel on YouTube! Chris Lovato is a twenty something Coloradan who happens to know how to wield a sword…and a pen. Although more inclined to the dark and macabre, his love is literary fiction (based in the ”real world” with a supernatural twist). 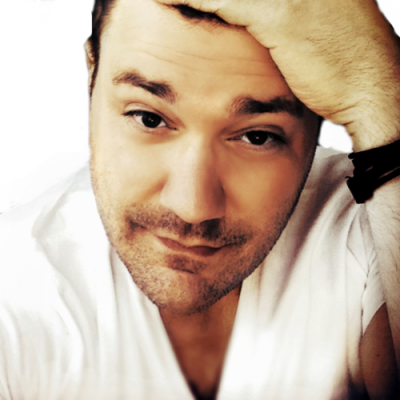 Visit his official site at Studioelev1.com, on tumblr at studioelev1.tumblr.com, and on Twitter @studioelev1 and @ceeloroboto. Pride and Prejudice is one of the greatest love stories of all time. Jane Austen is one of the most famous authors of all time. And vlogging is becoming one of the most popular things for people to do nowadays. Mix those three together and you have, The Lizzie Bennet Diaries. 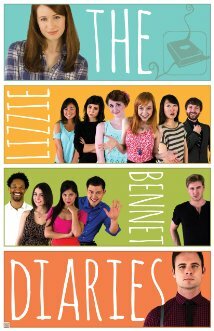 The Lizzie Bennet Diaries is a series created by Hank Green and Bernie Su based on Pride and Prejudice. They took Pride and Prejudice and put it in a modern setting. Lizzie Bennet, the main character, talks about her life via her own personal vlog on the YouTube channel “The Lizzie Bennet.” Other characters make guest appearances throughout the vlog but almost every episode is in Lizzie’s perspective. Taking an old story like Pride and Prejudice and putting it into a modern setting is not easy. Back then, women were married to men they barely knew and their only purpose in life was to find a rich man. But in the modern setting Lizzie is a grad student who wants nothing to do with finding a rich husband. She wants to be her own woman. The story of P&P is still there, just with a few changes to make it realistic to our time period. I have been obsessed with web series lately and I like a lot of them, but LBD is definitely my favorite. The writing is incredible and the acting is beyond what you would expect from something on the internet. Each actor is perfect at bringing life to these old characters. They make them new and appealing to a modern audience. Lizzie Bennet, played by Ashley Clements, is spunky, prideful, and independent. William Darcy, is pretentious, proud, and eloquently spoken. The chemistry between the two main characters is undeniable. When you are watching, you just can’t wait for them to be together. I never liked Pride and Prejudice or Jane Austen’s writing, but this web series has made me have a new appreciation for both. This story is beautiful, heartbreaking, and romantic. If you love romance and silliness, you will love The Lizzie Bennet Diaries. Learn more and watch the entire series by going to their website. Jessica Runnels is 21 years old and an ongoing contributor; with dreams of being on Broadway, she’s right at home covering Entertainment.